These are the BEST turkey muffins I've ever made- so moist and flavorful. Perfect for Fall, and easy for meal prep. I love serving these with maple roasted butternut squash and a vegetable to round out the meal. 2. Finely chop the onions in a food processor. Combine all ingredients in a large bowl. Make sure it is mixed really well! 3. Spray a muffin tin (mine had 6 cups) with cooking spray. 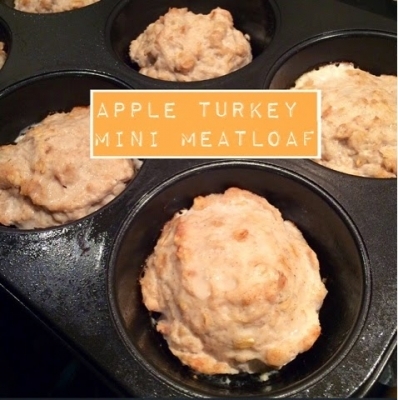 Evenly divide the turkey mixture into the muffin tins. 4. Bake for 25 minutes and serve!